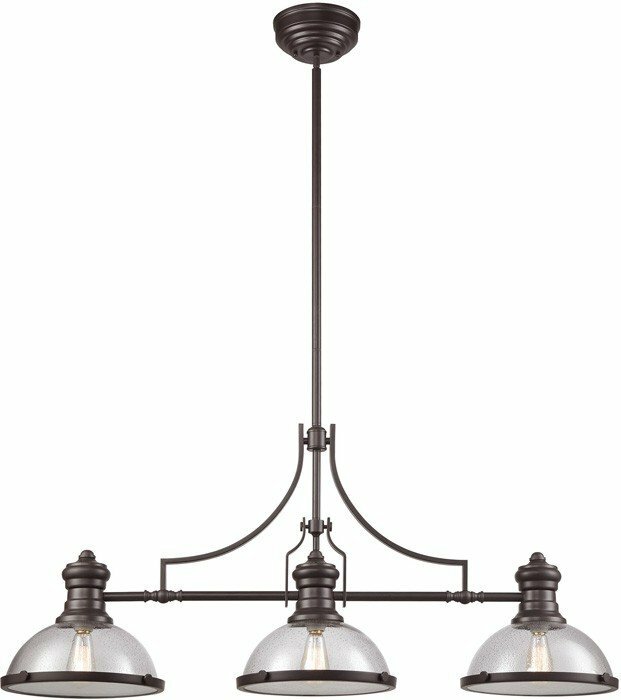 This island light reflects the beauty of hand-turned craftsmanship inspired by early 20th century lighting and antiques that have surpassed the test of time. 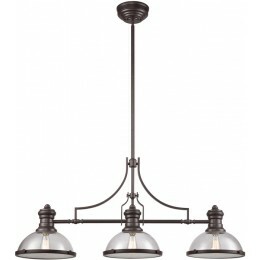 This robust design features detailing appropriate for classic or transitional decors. Finished in Oil Rubbed Bronze with clear seedy glass.